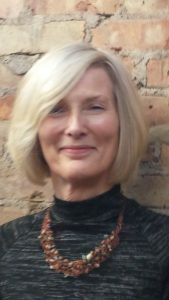 Barbara is an accomplished acupuncturist serving the community for 12 years. She holds a Bachelors in Nutrition and a Masters of Oriental Medicine with additional training in China. Her practice name is Three Treasures Acupuncture. Barbara has developed her style of acupuncture by integrating breath work, energy work and qi gong. Using her innate compassion and awareness clients receive emotional and physical healing at its deepest level. Barbara’s practice is composed of clients of all ages with a base of referrals from therapists and other medical professionals. She is highly effective working with anxiety, depression, trauma, stress and dementia. Each client is a unique individual and receives their own course of treatment suited to their needs. Barbara facilitates healing and insight in a safe environment and reminds us we are not alone on our journey.